The latest trends are ever-changing, which is why in this article, we will explore and evaluate the latest innovations for roofs in Queensland. Sustainability is sweeping across Australia and with it comes the idea of a living green roof. A green roof is typically most suitable for new contemporary homes, as it requires a flat surface. On top of the flat surface, the roof has a medium-thick layer of soil where vegetation grows. The type of vegetation varies from area to area; however, common types include moss, grasses, and low-growing perennials. There are several benefits to having a green roof. Firstly, it is sustainable. It provides a living habitat that wildlife can inhabit while also providing insulation for your home. It also controls the flow of rainwater, primarily through absorbing it. However, this means that a green roof would be directly affected in a drought or by heavy rains. Skillions are roofs with a significant pitch, often favoured by contemporary home owners who wish to give their home a unique look. The skillion allows the owner to maximise ceiling height – which is ideal for creating a home with an interesting finish. The butterfly finish involves placing two skillion roofs into the shape of a butterfly with a box gutter in the middle. It is favoured because it eliminates the needs for gutters, as rainwater flows in a different direction than it would in a normal home. 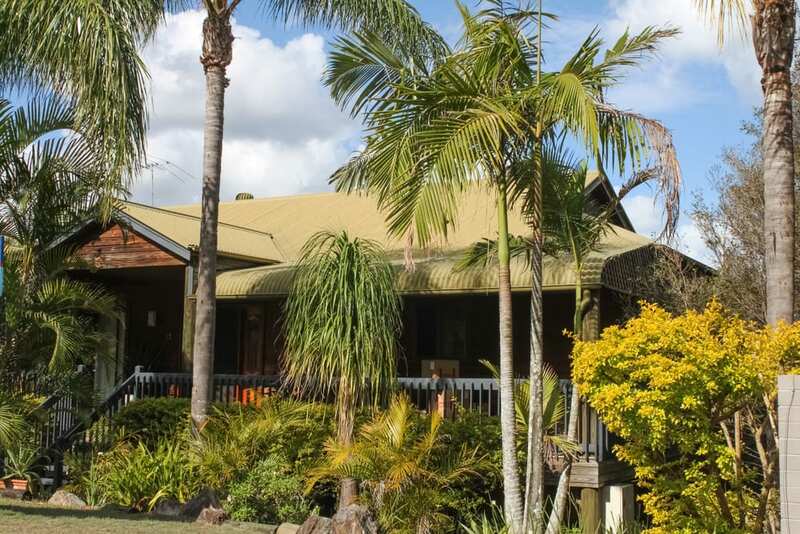 Traditional gable roofs are making a comeback in Queensland, as they offer the opportunity to have a well-spaced attic in a home. A gable roof can be recognised by its distinct triangular shape. Just as there is innovation in the types of roofs being developed, there are innovations in the actual field of roofing. To encourage sustainability, new products are being developed. Many manufacturers are creating eco-friendly products, some of which reflect heat, reduce the owner’s eco-footprint, and generally lower the need for air-conditioning. Interest in solar-panels has also increased in sunny Queensland. Companies are developing new technologies to increase safety. These include carrying out roofing with drones, the integration of GPS’s into safety equipment, and even sensors placed into vests, which warn workers of overheating. Manufacturers are offering roofs in a variety of colours – and they are also offering a wider variety of materials. Solar shingles, which operate in a similar way to solar panels, but are notably less clunky. Glass solar tiles, which capture heat and use it to warm the tiles below. If you have any questions about this article, or about good quality sheet metal in Brisbane, we at Queensland Sheet Metal would be happy to help. Feel free to call us on 07 3267 1010 or contact us online.